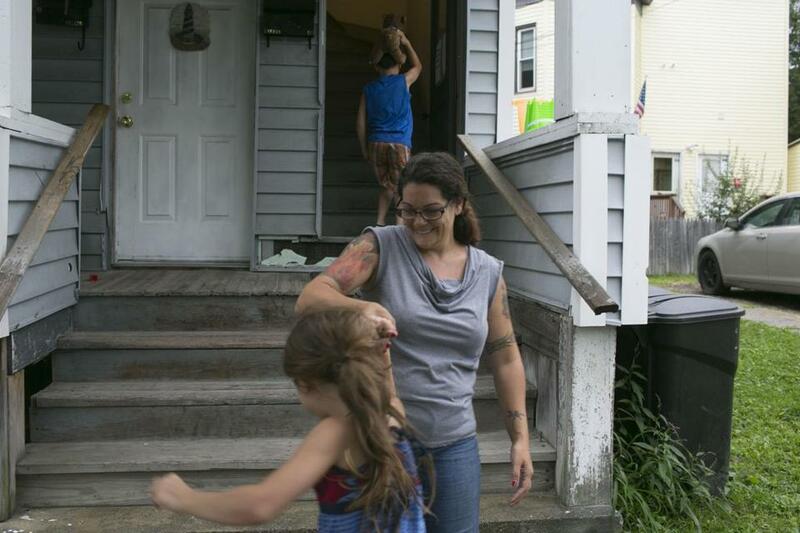 Kate Lauzon, 40, with two of her children. She receives disability payments and works several part-time jobs.Tanglewood events in Lenox draw thousands of visitors from the New York and Boston areas. LENOX — The sound of mournful oboes floated across the manicured lawn on a recent misty night, mixing with trilling cicadas as darkness settled over Tanglewood. It was Berkshire Night, when county residents get in free to see the Boston Symphony Orchestra at its summer home — a rare opportunity for most locals. But some are too busy cleaning people’s vacation homes or waiting tables to attend. Others have no way to get there, or can’t afford a baby sitter to watch their kids.